This Halloween, our offices at 4861 N. Kenmore becomes a spooky but welcoming place. It will be a bit of a coming out party for resident leaders and staff to meet neighbors, including block club activists sponsoring safe trick or treating. In addition to tricks and treats, we’ll be showing scary videos and raising cups of hot cider and cocoa with cool visitors to our stately, yet bloody, front porch. Middle School Parents, spread the word about workshop November 7th, 7 pm at Uplift High School. 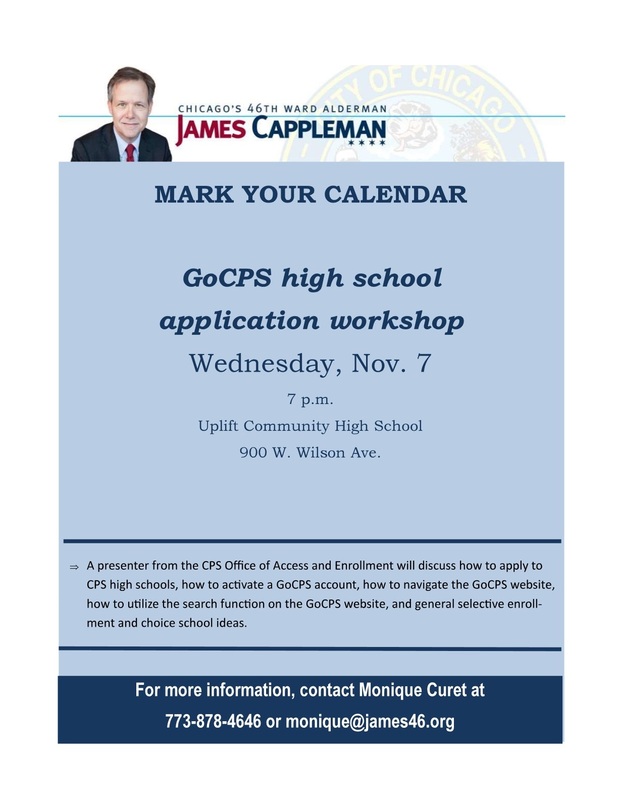 It’s your chance to learn more about CPS high school application process, resources and navigating the maze of options among neighborhood schools, some with academic and arts programs, as well as magnet, charter, and selective enrollment high school options. The need expressed by our tenants has helped to make this opportunity possible. See flyer below. A start of a process of renovation begins in November at five Voice properties, where energy conservation is first priority in advance of winter. Residents, watch for notice of details on improvements, annual inspections and events.